The "Merrin Zeus" is a reminder that purchasers need to have fully documented collecting histories that can be traced back to the period before 1970. If the Zeus was indeed removed from the Museo Nazionale Romano in 1980 it would appear that the collecting history that it had been in an old Swiss collection in the 1960s was fabricated. Who created the account? Who knew it was fiction? The Castor and Pollux statues now on loan to the Metropolitan Museum of Art also have an interesting collecting history. Where did they acquire the reported find-spot of the Mithraeum in Sidon? The curatorial staff at the Met have yet to present their documented and authenticated collecting history. 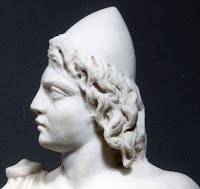 What do the Zeus and the Dioskouroi have in common?